Did The latest Divi update break your site? 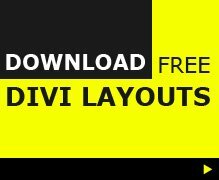 Version 3.0.52 of the Divi Theme (updated 6-28-2017 ) added static CSS file generation system for the Divi Builder, Divi Theme Options and Divi Theme Customizer. The result is that custom styles don’t generate in-line CSS but will serve static files that can be cached by the browser which gives faster site load times. Whilst this is a great addition to the performance features of Divi some people have had issues when they update to the newer versions. 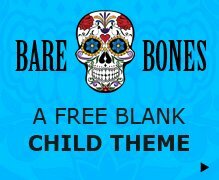 And today I joined the “Divi broke my site” club. After updating Divi, many of the styles I had added to the site were no longer showing, the admin bar was not showing and there was a load of images repeated under my footer. The site was a mess. The problem was caused by errors in my CSS which before just slipped by without issue. Now the files are handled differently the CSS errors cause issues. I suspected my CSS was to blame, so I copied my custom CSS from my Divi child themes style.css and pasted it into CSS Lint which showed me all the errors that were in the file. It was showing a missing (}) closing brackets, which doesn’t seem like much, but it was enough to break my site. Css Lint tells you exactly what the error is and what line of code the error is on so it is easy to go in and fix the errors. Once the missing } was added and the site refreshed, I was back in business. A very simple fix once you know where to look. Hopefully this may help you out too if updating Divi breaks your site! And remember, It is always a good idea to update Divi regularly If you want to get all the bug fixes, latest features and security patches. Thanks! I just updated to 3.0.86 and lost the Divi slider images – they were in the library but wouldn’t display in the slider, after repeatedly relinking them. I followed your instructions, checked my custom CSS through Lint and fixed my errors, and it worked like a charm! Thanks so much for sharing! I believe I have this issue but the person who designed my site is unresponsive. Can I hire you to help me? Thank you!